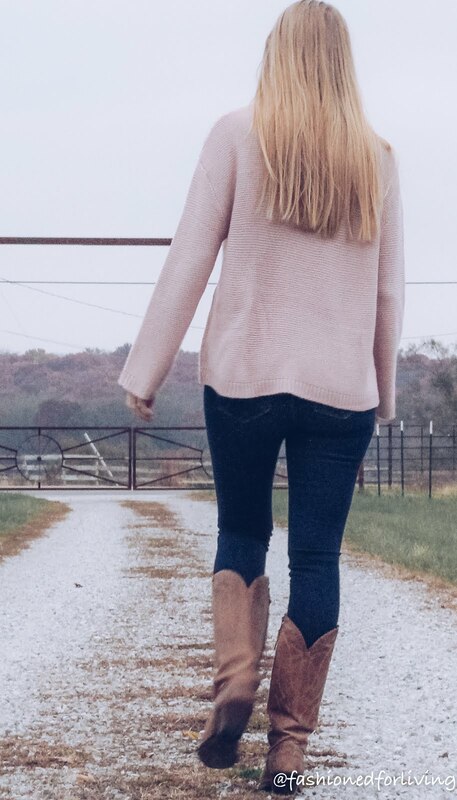 I LOVE my pointy toe, classic cowboy boots. I don't think there's a more timeless or flattering shoe for a woman to wear. BUT, I do understand that style of boot is not comfortable for everyone. I needed a new pair of boots to show horses in (so excited) this summer, and picked up THIS pair. 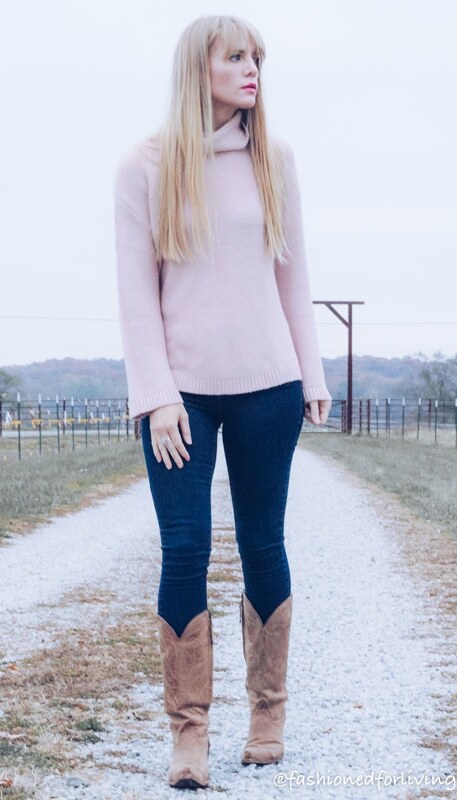 SO I'm loving mixing this modern take on the cowboy boot into my everyday outfits, AND yes, they are really comfortable for daily wear!! High waisted skinny jeans are my goto when I just want to get dressed quickly and not think too much about my outfit. I love how high waisted jeans make you look slimier and taller!! Skinny jeans, boots, and a top....really can't go wrong with this combo!! 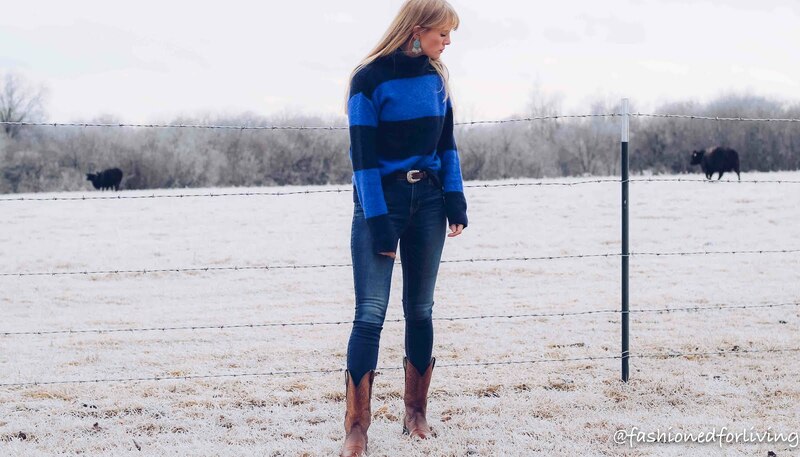 I finished this basic, but stylish outfit off with a concho belt with a simple front tuck of my sweater and turquoise earrings. What's your goto jeans style when your quickly throwing a outfit together? I scored mine at TJMaxx and the brand is AG Jeans. Blush pink is one of my favorite colors!! It's very versatile and really is a neutral color that can easily be paired with so many other colors. I really love how blush pink pairs with the cool tone of dark wash jeans and warm brown boots. 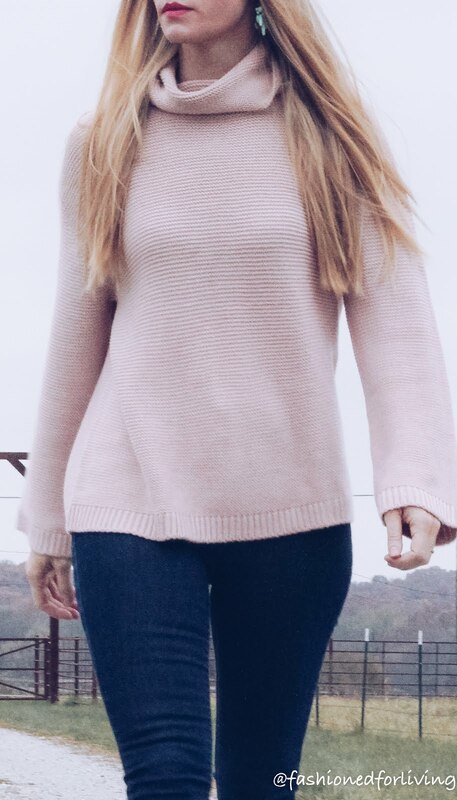 A sweater and jeans is a no brainer go to winter outfit. 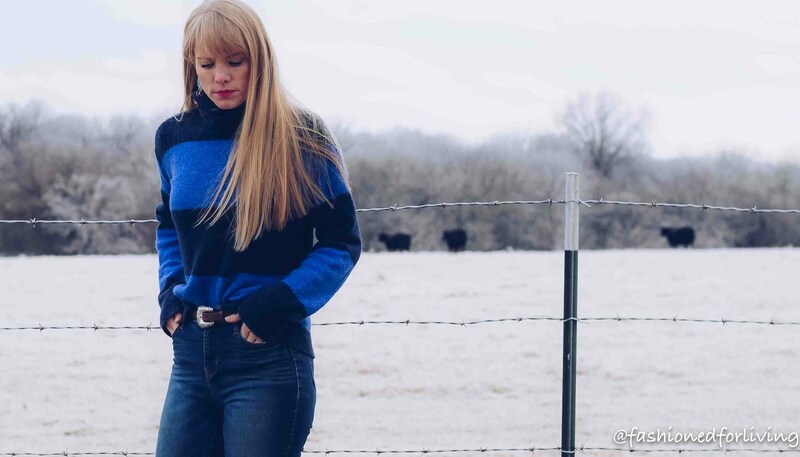 To give this classic style a more updated feel try a sweater with bell sleeves. It's a subtle detail that can have big impact. 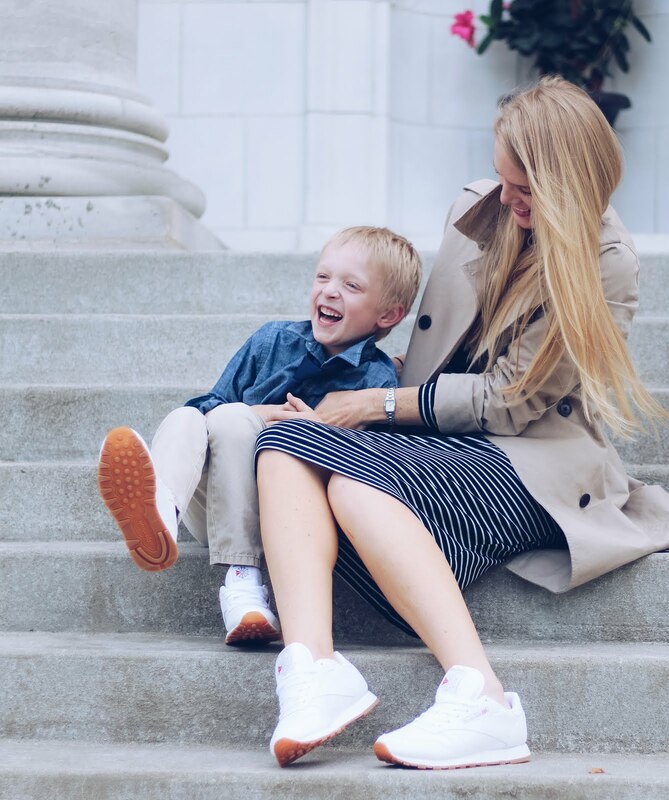 THESE dark wash skinny jeans are my absolute favorite, and the prices is just as fab. My excitement for the snow is something I don't think I will ever out grow!! I love to watch the flakes fall and the beauty it adds to the drab winter landscape!! I was overjoyed this day, when it started to snow!! 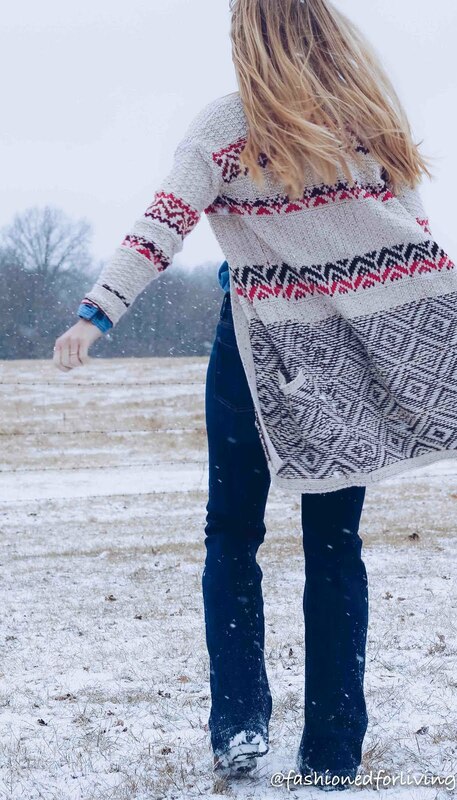 What could be more fun than taking outfit pictures in the snow?! 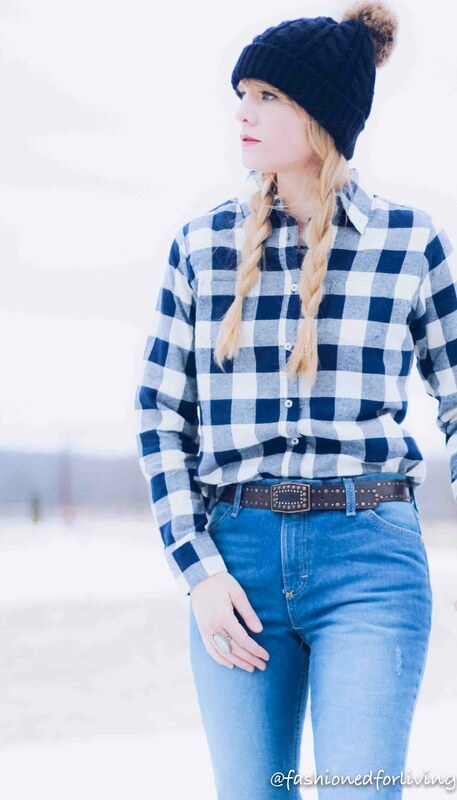 Denim on denim is classic look that seems to stay around through the decades. It's for sure hit a high point again the last few years, and it seems to be sticking! Just like the snow in these pictures!! You can add literally anything to this base from pumps and a blazer to boots and a cozy cardi, like shown here!! The stylish possibilities are endless! 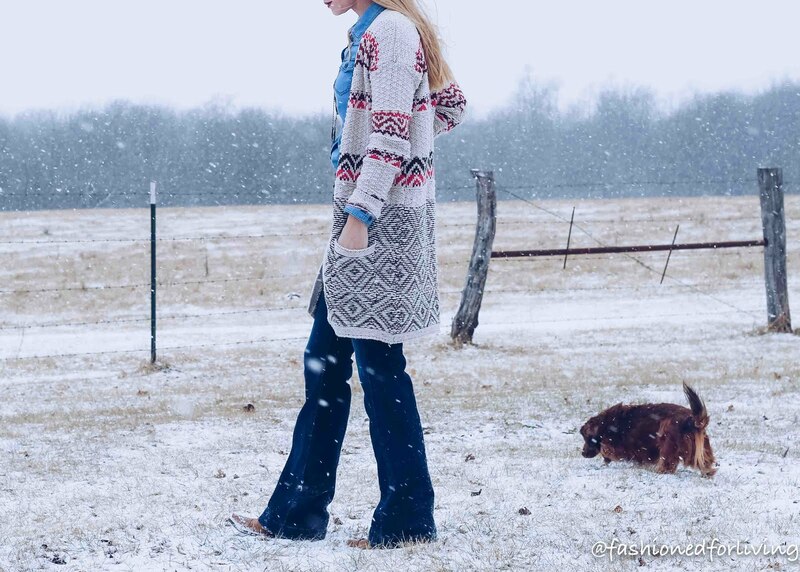 A long cozy cardi is a wardrobe staple as much a good denim shirt should be. Find one with pockets and its for sure a happy dance moment! Roll the sleeves of the cardi up to reveal the shirt underneath for a stylish detail to your outfit! All the retro feels! 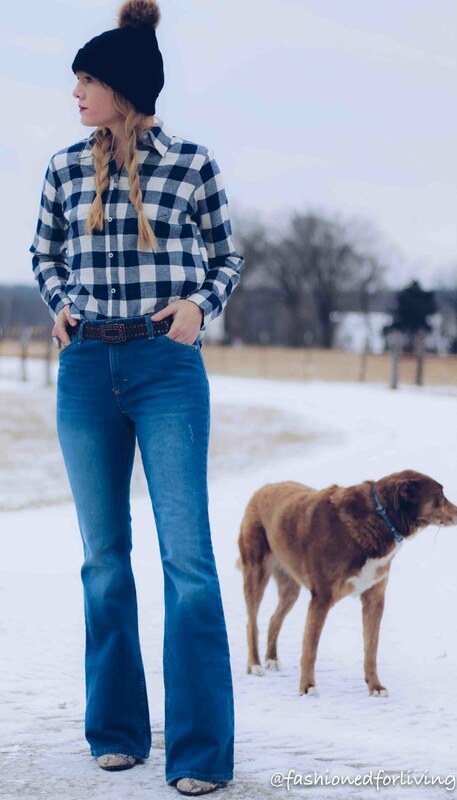 I didn't realize how much I loved my Rocky Mountain, Lawman, and/or classic Wrangler jeans...the higher waist the better jeans until they were gone!! I feel like (hope) if I keep putting that out into the cosmos my dream of high waisted bootcut jeans will come true. 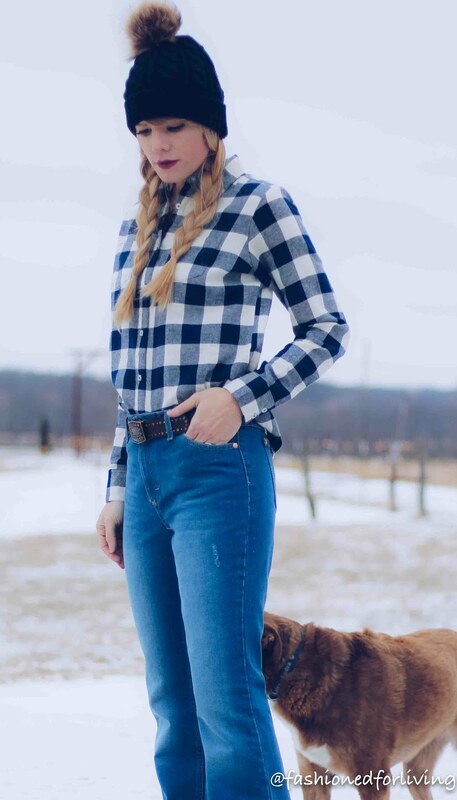 I've tried several times over the last couple years with liking the current western jeans, and they just aren't my style vibe. Sure, I could possibly go for having one pair of embellished pocket, midish rise jeans, but overall all I just want a simple, well fitting jean. A jean with a high waist that holds in all the jiggle and keeps my shirt tucked in. Are you with me? 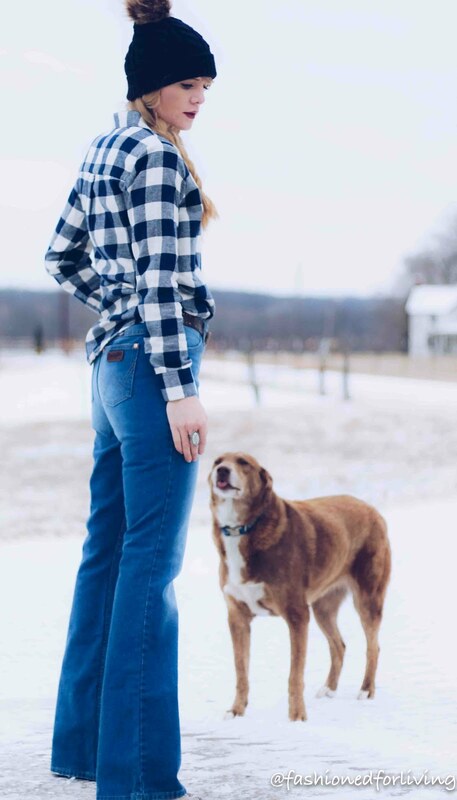 These Wrangler jeans are so fab and reminisce of the western jeans of the good 'ol days!! I'm linking them HERE but there's sadly only a few sizes left. Maybe we could sign a petition to bring them back?! ...along with other jeans like them?! Flannels are a staple for my winter uniform. So stylish and functional. 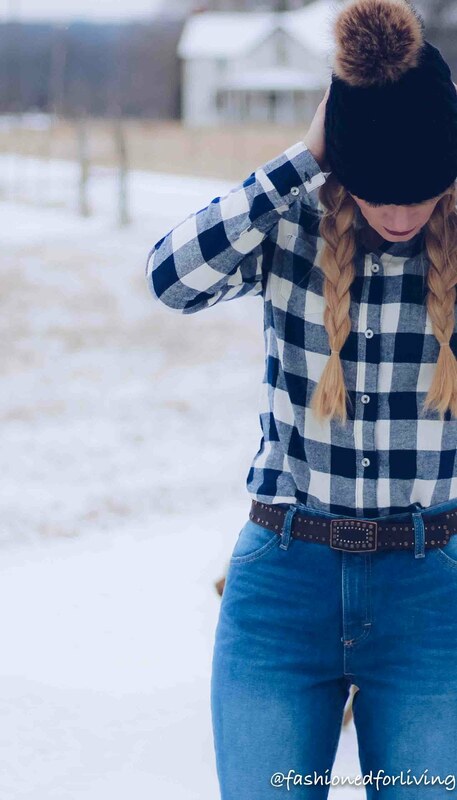 You can wear a flannel so many different ways from half tucked to tied around the waist.